Royal Weddings, Martinis, The Space Shuttle Endeavor, and More! Some of our favorite Maiden Martini recipes! What’s going on in Phoenix? What's going on in Phoenix? Boston is Bouncing with Things to Do! If you are a runner, have ever run in a marathon, or dreamed of it, the Boston Marathon is surely on your radar of marathons to run. Baseball? Of course the Boston Red Sox! This weekend is, of course, the Boston Marathon. There is so much more to this great city that is rich in history, we just had to list some of the reasons to make it one of your places to visit. The Boston Bruins Last, but definitely not least! This is just a start, but there is a lot packed into these links. 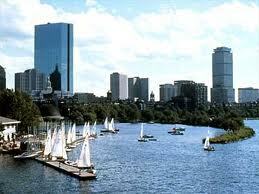 We hope you enjoy visiting Boston. Whatever your interest is, there is something for everyone! Right here is the place to sign up for our blog! Check here daily for events across the country, restaurant news, and great recipes!